"Today's Collectible becomes Tomorrow's Heirloom!" Each Santa in the Crakewood Collection is an original Santa Claus designed by Karen Didion. There is a hang tag attached to each collectible doll with information about the artist along with her picture. A "Crakewood Collection by Karen Didion" label is sewn to the back of each 16" or larger Santa's coat. Click on Pictures below to shop by Category. Click here to view our fun holiday Whimsical Santas. We have watched Karen's Christmas doll company grow and evolve since 1997 and we are impressed by the quality and construction of her heirloom collectible Santas. We sell the same Christmas Santa dolls on this web-site as we do in cities across the USA. Our customers immediately recognize their heirloom quality and tell us how reasonable our Santa prices are. Our response is always "We expect to pay a fair price when we make a purchase and we want our customers to have the same experience." We want our customers to be 100% satisfied with their purchases. All of the Santa Claus figures have hand painted resin faces and hands with inset glass eyes and real mohair beards. Many of the exquisite fabrics used to make the Santa's clothing are imported, i.e. tapestry, velvet, jacquard knit, satin, velour, suede and leather. Whimsical novelty prints and designer buttons set off the vests and coats. Faux fur, embroidery, unusual braid and tassels are used as trims. The Santa bodies are fiberglass and weighted to be free-standing. 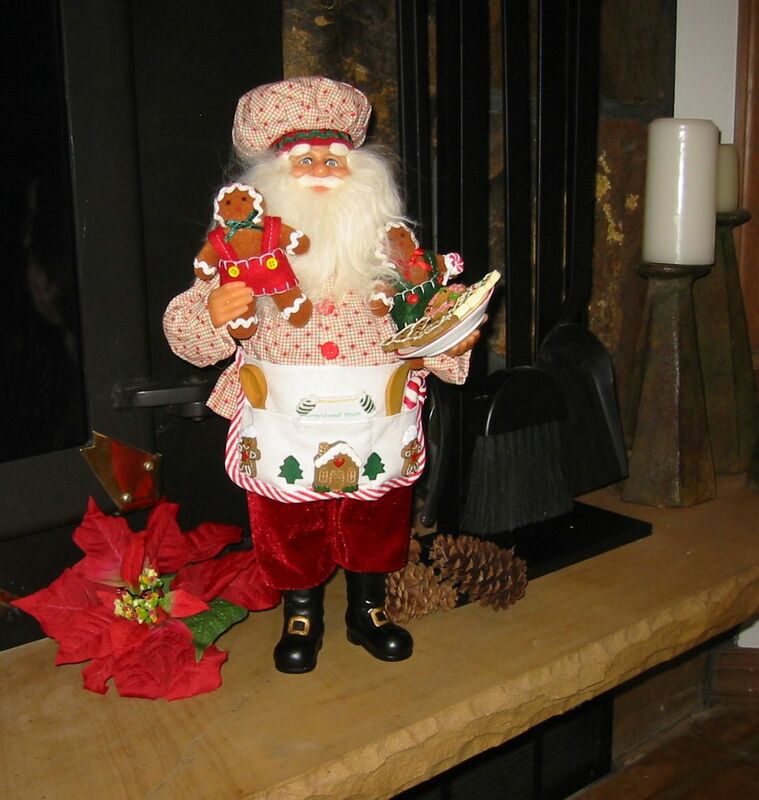 The decorative accessories are unique, many are created expressly to fit the theme of these Santa collectibles. All of the attention given to the details make these collectible Christmas Santas special to give as a gift or collect.